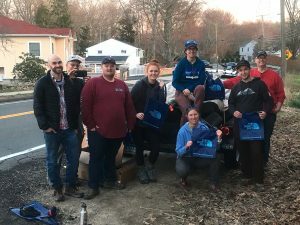 The folks at Branford’s Denali (formerly Trailblazer) have partnered with the Branford Land Trust’s Trails Committee in recent months to help maintain Branford’s open space. Now they’re busy setting up shop in their recently renovated store at 1004 Main Street, Branford. Join us in celebrating their Grand Re-opening on Wednesday, August 1 from 6:00 pm – 8:00pm. All are welcome. 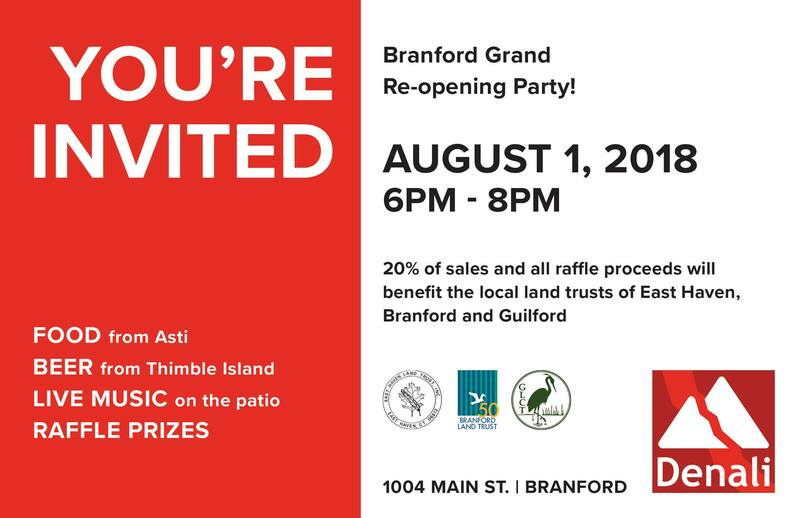 Refreshments will be served, and there will be a raffle, the proceeds of which will be divided between the Branford, Guilford, and East Haven Land Trusts. For more information, visit www.denalioutdoor.com/denali-branford.